Many BC residents search worldwide to find their perfect vehicle, and often that perfect vehicle is found outside of BC. Whether you are looking to import from Japan, the USA or another Canadian jurisdiction, importing a vehicle into BC does not need to be as daunting as it seems. If you are moving to BC with your vehicle, you will not be required to pay GST or PST as the vehicle would fall under the tax exemption for Settler’s Effects (providing you owned or leased the vehicle in your previous home province or state for a minimum of 30 days). If you are already a BC resident who has purchased from outside of the province, you are required to pay the BC Provincial Sales Tax (PST) on the new or used vehicle. BC PST is 7% of the purchase price in Canadian Dollars and will be collected at the time of registration at an ICBC Autoplan Agency. If you are importing from outside of Canada, the Canadian Border Services Agency (CBSA) will also collect 5% Goods and Services Tax (GST) upon the vehicle entering Canada. 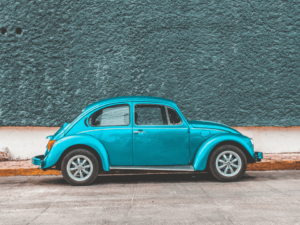 If you have chosen to go pick up your new vehicle and drive it to BC, you may need to look at Binder of Insurance, issued at an ICBC Autoplan Agency. The Binder of Insurance will provide the liability, collision and comprehensive coverage on your vehicle while you are driving the vehicle back to British Columbia. Binders can be issued from 1-31 days, so if you choose to take the long route home, you are covered for as many days as the trip takes you. However, it is important to remember that you must display a valid plate or permit while driving the vehicle back. You may need to purchase a Permit to display on the vehicle in each separate province, territory or state that you will be driving through. The Binder provides insurance coverage only and is not a permit. Coverage under a Binder commences the moment you pick up the vehicle and continues until you reach your home. Once you are home you cannot continue to drive under an insurance binder even if you still have days left on the policy. Once your vehicle has reached BC, the next step is having your vehicle pass a BC Private Vehicle Inspection Report (CVSE0013). This is a requirement for almost all vehicles entering BC, however, motorcycles, off-road vehicles, snowmobiles, and trailers are excluded. The purpose of the inspection is to ensure the vehicle meets BC’s safety standards. A cracked windshield, missing taillight, and tinted windows are just some of the reasons why a vehicle may not pass a BC inspection. Once the vehicle has passed the inspection, you are one step closer to registering your vehicle and getting on the road here in BC! If you are moving to BC with a vehicle you owned in either Alberta or Saskatchewan and your vehicle is 5 years old or newer, you are exempt from completing a BC Provincial Pre-registration inspection. If you are unsure, contact your broker for confirmation. The next step is having your out of province vehicle physically sighted by your Autoplan agent. All imports – cars, trucks, motorhomes, trailers, ATV’s, etc., need to be sighted by an agent prior to registration in BC. If you have resided outside of BC, we may require proof of insurance to provide you with Claims Free discounts on your insurance. ICBC requires a letter from your previous insurer showing any insurance policies you had in place and the details of any claims under your name. When moving to BC, ICBC will provide a maximum of 8 years of claims-free discount for the time immediately prior to your arrival in BC. Please contact your Autoplan broker for information on exactly what information ICBC requires on your Out of Province Claims Experience letter.